For Dads, there’s nothing quite as meaningful as receiving a homemade Father’s Day gift from their child on their special day. 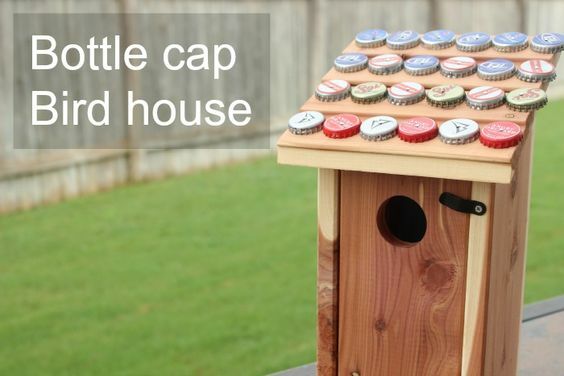 Here are some thoughtful ideas for homemade Father’s Day gifts that kids can make for Dads, step-dads, grandfathers, or any other influential father-figures. 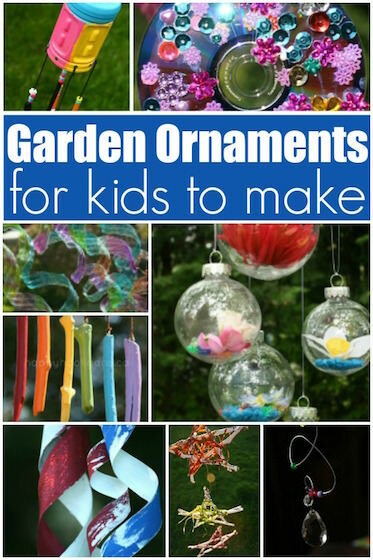 Father’s Day is just around the corner, and I know your crafty kids are going to want to make something fabulous to give Dad on his special day. 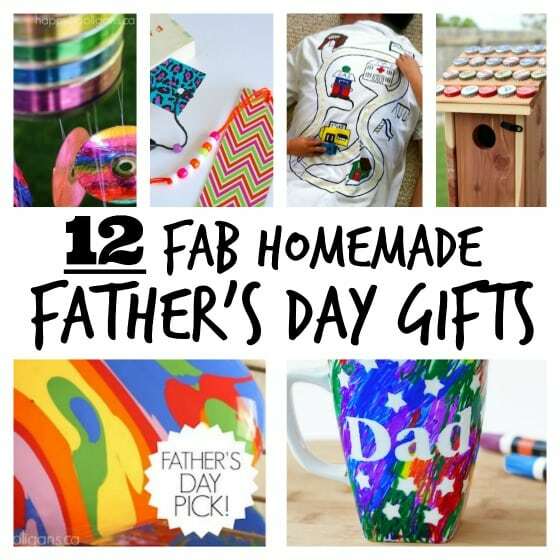 The hooligans LOVE making gifts for their parents, and we’ve made several terrific homemade Father’s Day gifts in recent years. Today, I’m putting them all right here, in one handy post for you! You’ll be able to refer to this whenever your child needs to make a special gift for a man, whether it’s dad or grandpa or an uncle or even a neighbour or teacher. 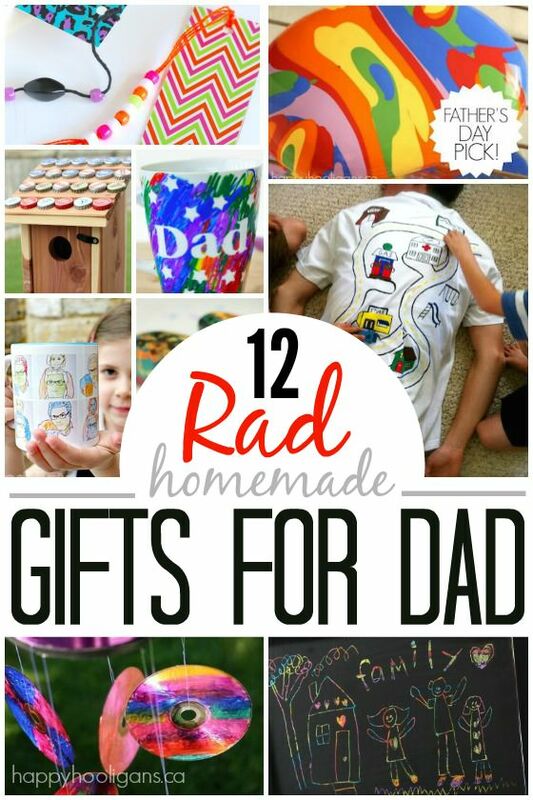 At the end of the post, you’ll find a few of my favourite Father’s Day crafts from some of my blogging friends too! 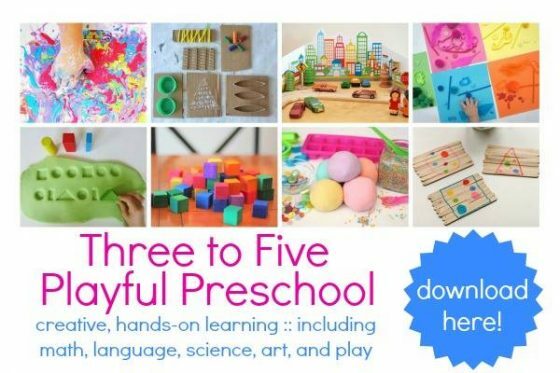 All of the Father’s Day gifts that we’ve made here are really easy to make, and the toddlers and preschoolers in my daycare have been VERY proud to give them to their Dads. And from what I’ve heard, their Dads were touched and honoured to receive them. P.S. 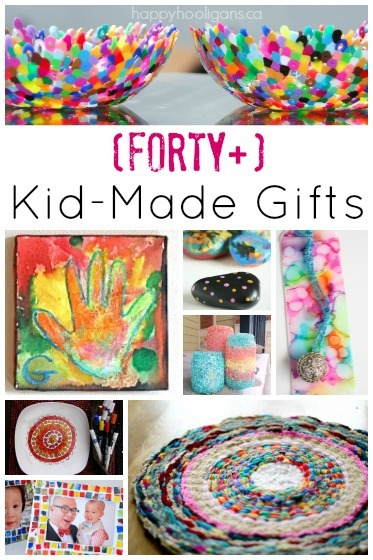 If you’re looking for homemade Mother’s Day gifts for your kids to make, you’ll find them here and here. 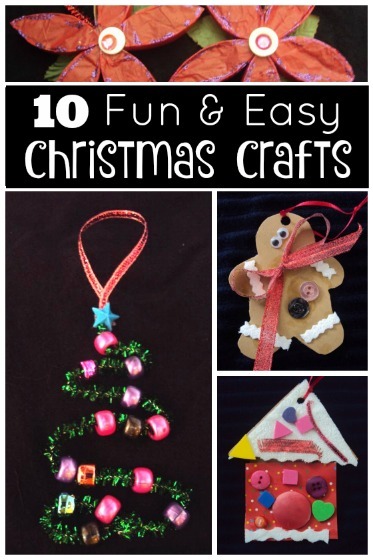 Click on the links below the photos to see the full instructions for each craft. 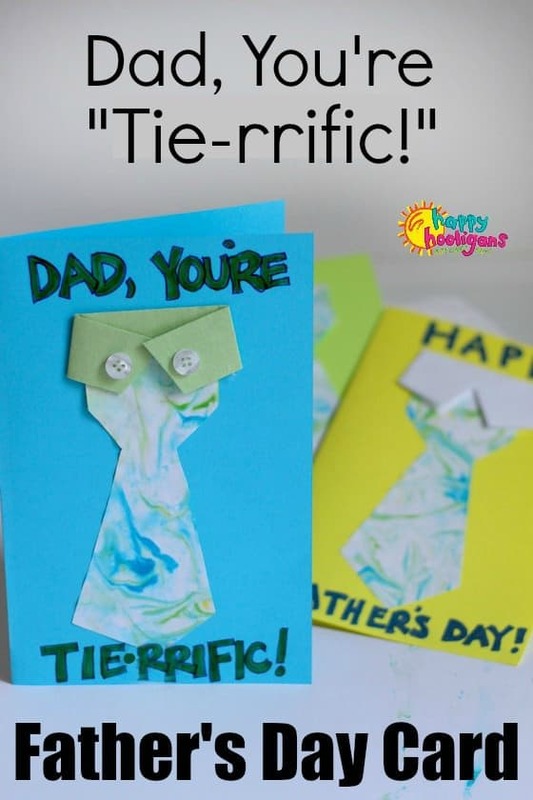 Before we dive into the gifts, let’s start with some adorable homemade Father’s Day cards that kids of all ages can make. 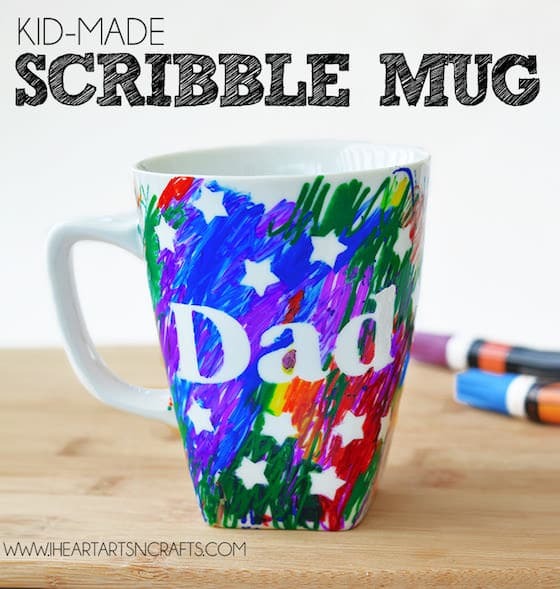 Each one involves a fun art process, and they’re the perfect accompaniment to the gift your child will give to Dad on his special day. 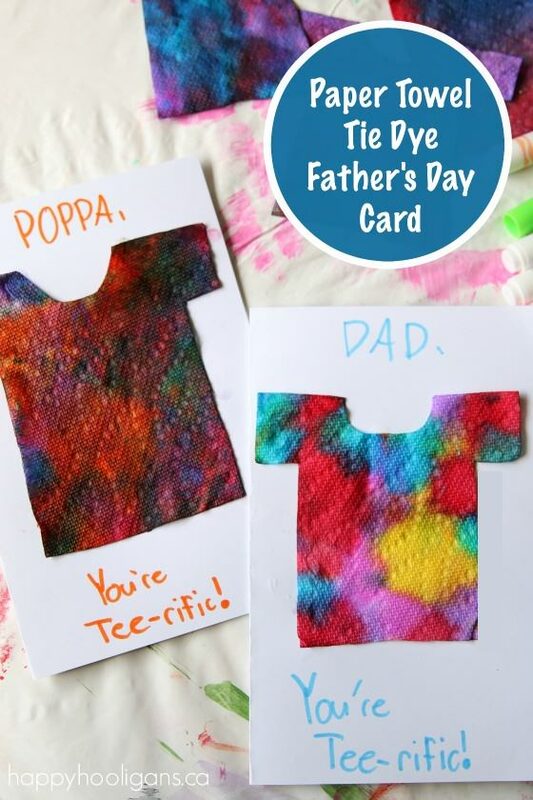 This tie-died tee-shirt card made with paper towels and liquid watercolours. 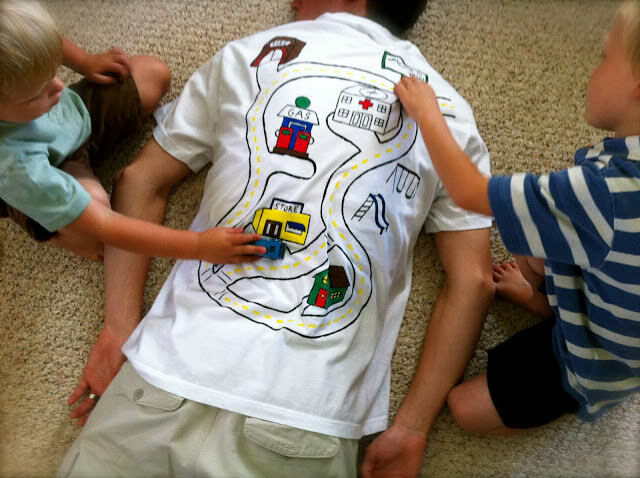 It’s a great fine-motor art activity, and the end result is perfect for any tee-shirt loving Dad. This shirt and tie card is a step up from the traditional shirt and tie card made entirely from construction paper. 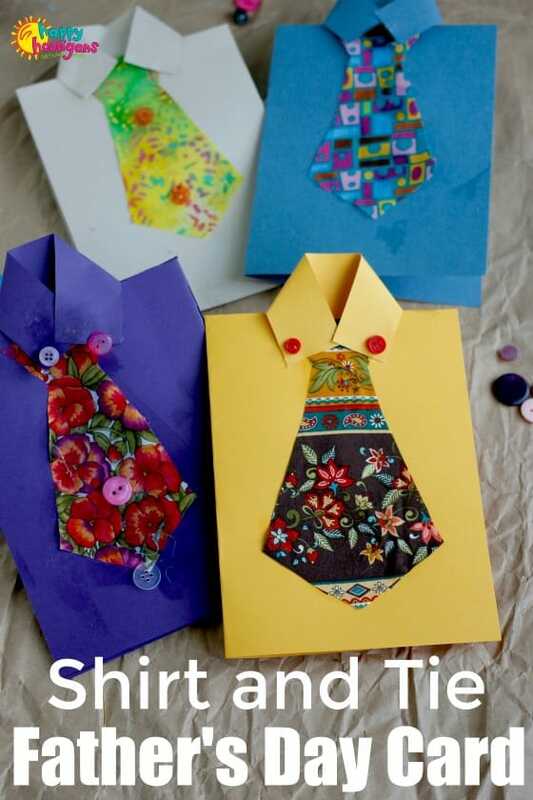 We used fabric scraps to make the ties for these cards so they really pop! Raid your fabric bin for scraps. The funkier the fabric, the better! 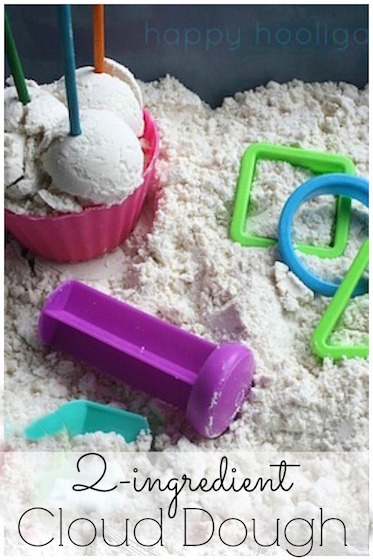 This scented necktie Father’s Day card involves a fun shaving cream and food colouring process. Kids can decorate paper ties with this marbling process to create a homemade card that smells just like Dad does after a shave. 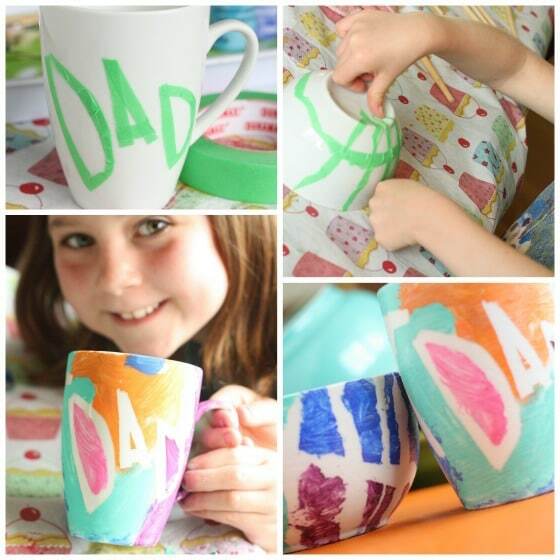 Tape Resist Mug and Bowl: This tape resist process is a fun way to create a custom design for Dad. This was one of the Father’s Day gifts we made last year. It’s a matching mug and bowl set, personalized just for Dad. 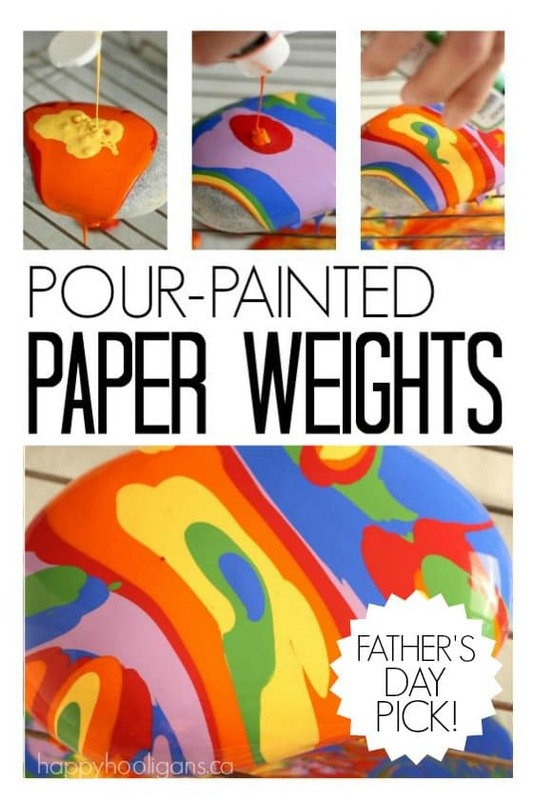 Pour Painted Paper Weights: Paper weights are always popular for Father’s Day. Check out how we made these funky beach rock paper weights with a simple but fascinating pour-painting process! 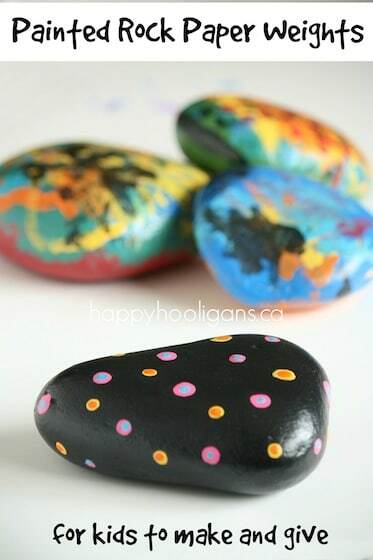 Painted Beach Stone Paper Weights: These paper weights are so easy that even the toddlers will be able to make a gorgeous, handmade gift for Dad! Coffee Can and CD Wind Chimes: These wind chimes make a perfect Father’s Day gift for a Dad who loves music and coffee! 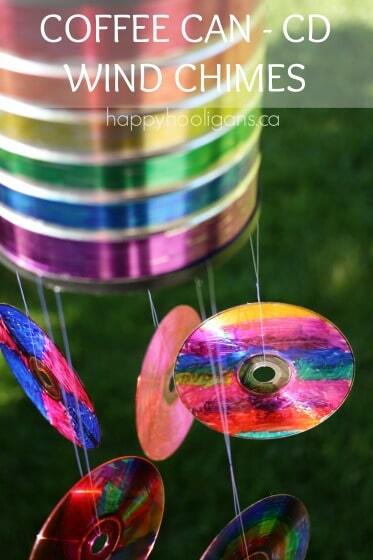 It’s a great way to repurpose some old CDs that don’t play anymore too! 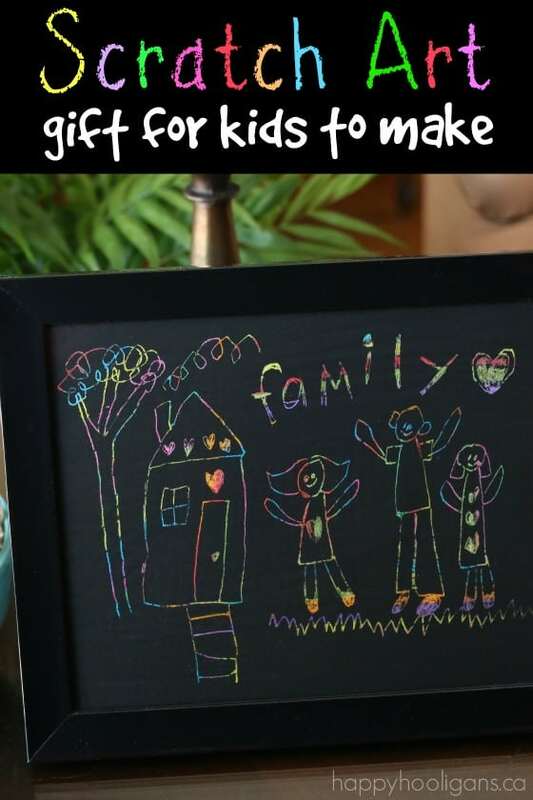 Scratch Art Family Portrait: What Dad wouldn’t love a hand-drawn family portrait from his child for Father’s Day? This classic art technique is so easy and fun. Place the finished artwork into an inexpensive frame, and your child will have a beautiful Father’s Day gift to present Dad with. 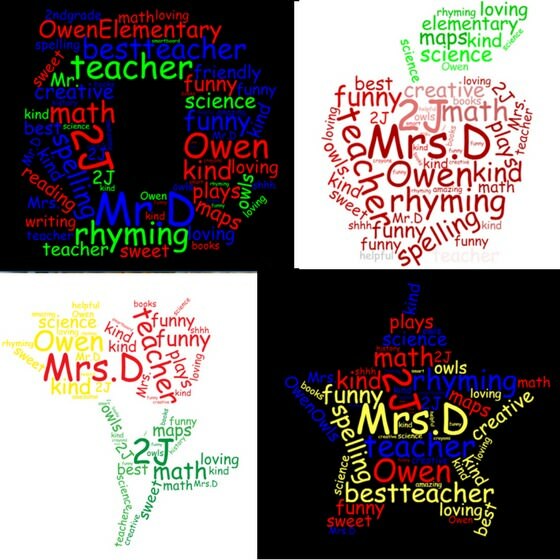 A framed word cloud is really fun and easy to make! With this easy-step-by-step, kids can choose a shape and fill it in with all kinds of words that describe their Dad. Pop your word cloud into a frame, and Dad will be honoured to display it on his desk or in his office. 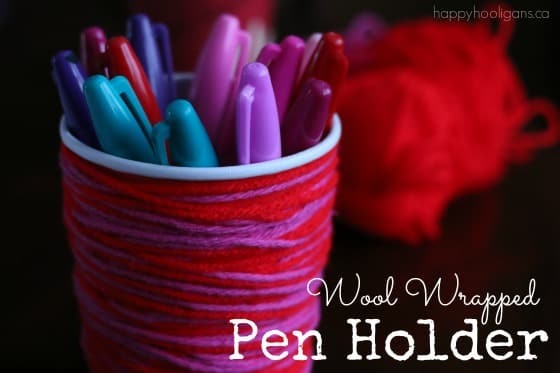 Wool Wrapped Pen Holder: We used take-out coffee cups to make these colourful pen holders. Have your child choose yarn in Dad’s favourite colours, and he’ll have a handy place to stash his pens and pencils at the office or at home. Hand-Painted Fridge Magnets: This is one of my favourite Father’s Day gifts for toddlers to make. 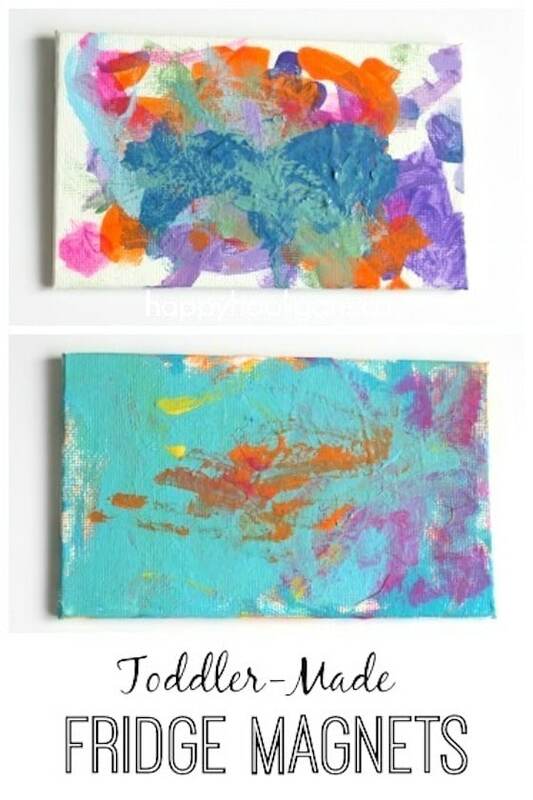 It’s very easy to turn one of your child’s masterpieces into an original and beautiful fridge magnet! 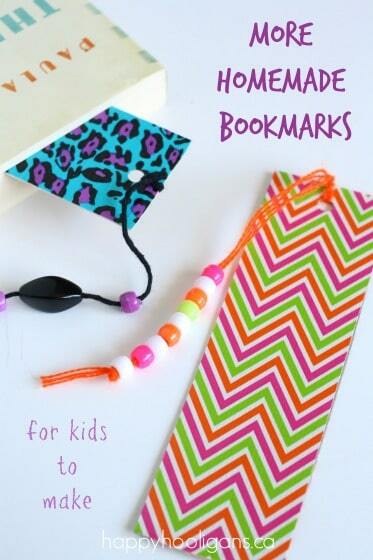 Homemade Duct Tape Bookmarks: Bookmarks are fun to make, and they’re such a great gift for a parent who loves to read. These duct tape bookmarks are super-easy to make for Father’s Day, and so fitting for Dad. Dads love duct tape, right? 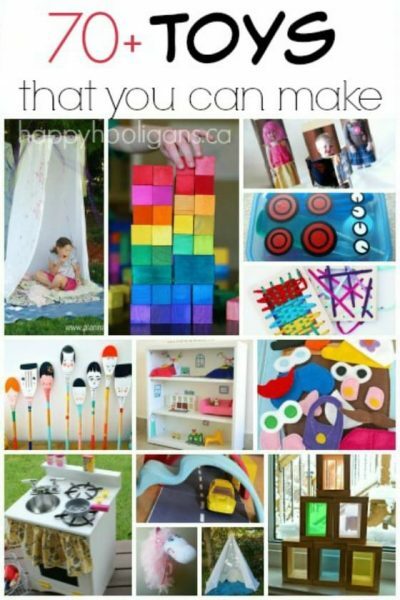 And here’s one last creative Father’s Day craft that I absolutely adore! Make “pop art” for your Pops! 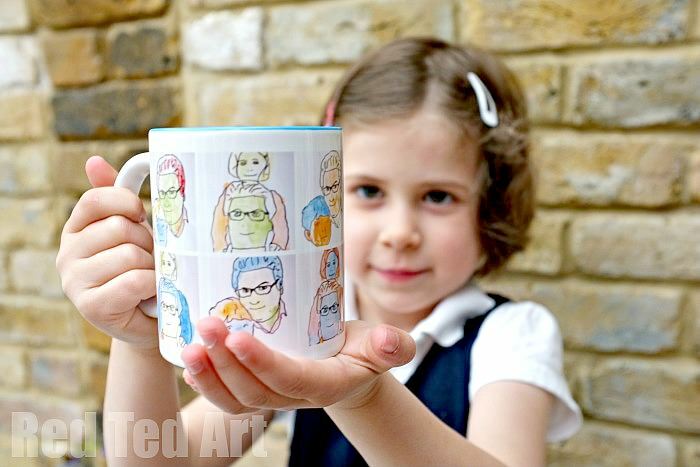 Simply trace a favourite photo of Dad, and then colour it in, and frame it or transfer it onto a mug. What a fantastic personalized gift for Father’s Day! Don’t forget the homemade gift-wrap! Kids can make their homemade Father’s Day gift even more special by wrapping it in homemade gift-wrap they’ve made themselves. 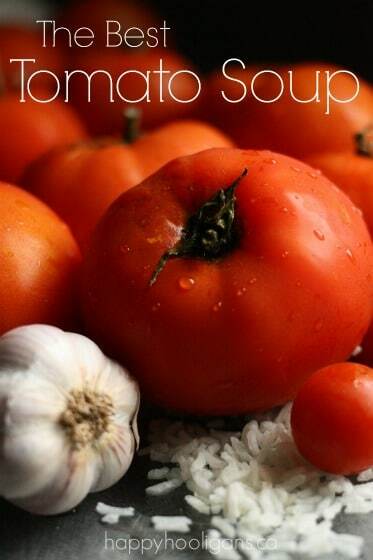 We have two great ways to make it here and here.